A random Scotsman's reviews on food, drink and travel. 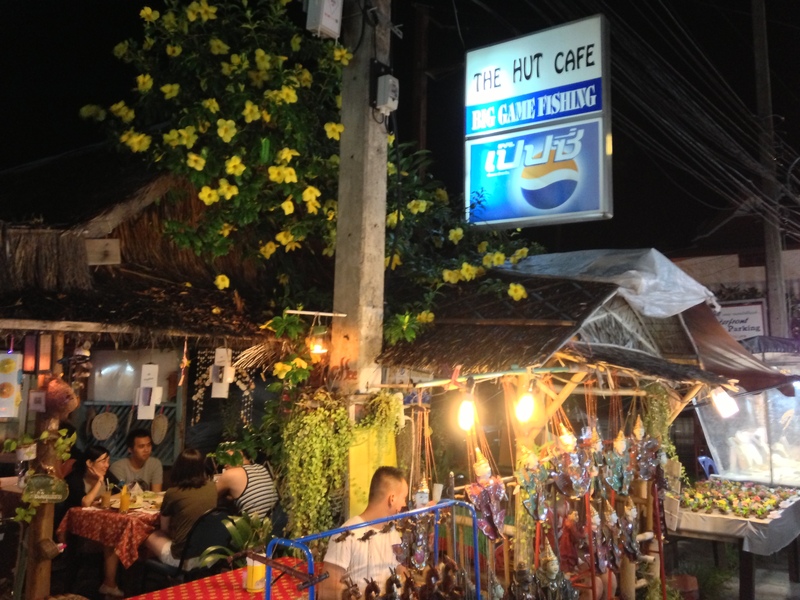 The Hut is located right at the end of the main street on Fishermans Village, its only a short walk from the main drag and carries a great reputation for authentic Thai food. The Hut actually appears to be a family home with tables out front. The kids from the family sit just inside watching TV and the toilet for use by customers does appear to have the family toothbrushes and items present. The menu is extensive and is so cheap that it may cause concern. I can confirm the food was absolutely wonderful. 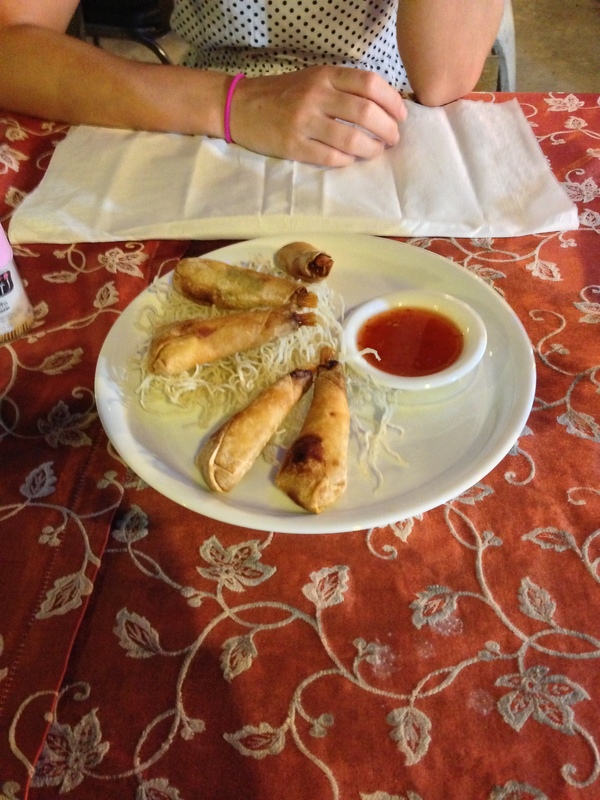 We had wafer wrapped prawns to start which were large and im glad we shared as there was quite a number of them. For mains I had a Massaman Beef curry that was loaded but hunks of beef, potatoes and veg. It was excellent. 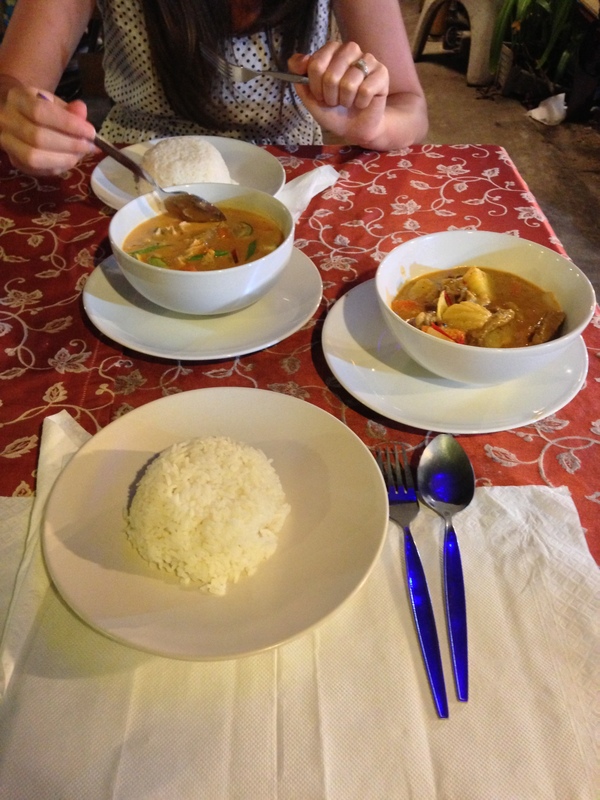 My wife stuck true to form and had a red chicken curry and again remarked that it was great. I had a number of large beers and my wife a number of vodkas with dinner. The bill came to less than £15. Astonishing value for wonderful food and service. The Hut must be on your list. 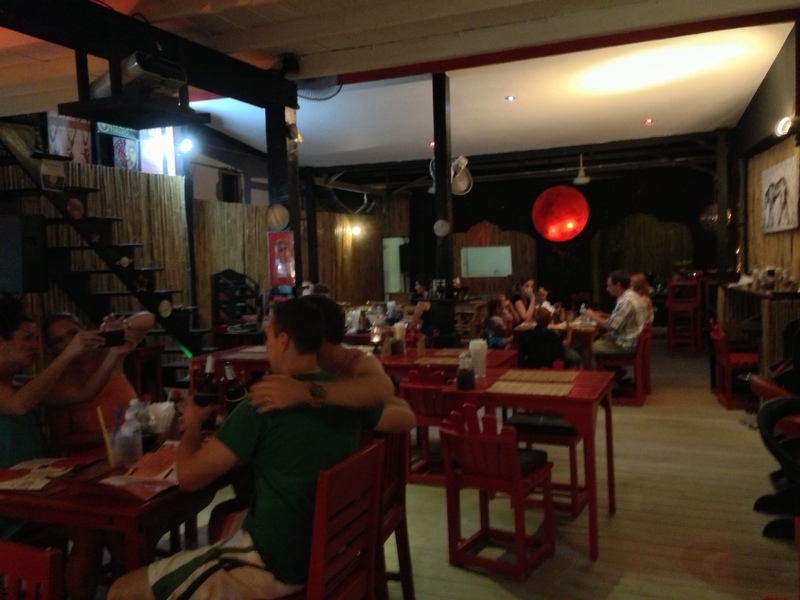 We popped into Red Moon during the Friday night market. It was pretty busy and looked like a good stop. We sat at the bar then spent the next 20 minutes trying to get service. Both from people at the bar and passing staff all who either ignored us or said they would be right with us but never came back. Eventually we managed to get a beer and a vodka and sat back to watch. There was a group of 4 Americans in who were clearly pretty drunk and noisy. We watched while the owner tried to convince them to eat what he would like them to eat from his iPad pictures. The staff clearly were not happy with the boisterous table and it was leading to a sour atmosphere. After again chasing up the staff to pay we drank up and left. 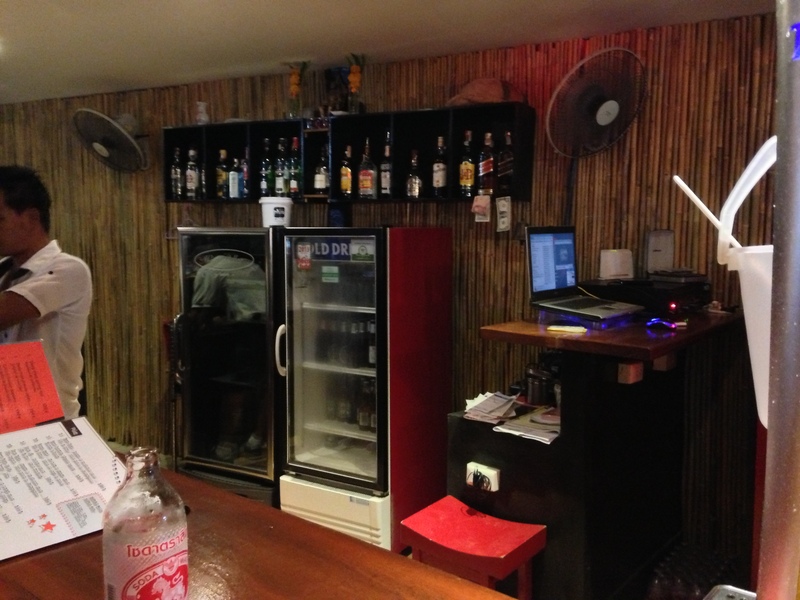 Red Moon Bar, Bo Phut, Koh Samui – they dont appear to have a website. 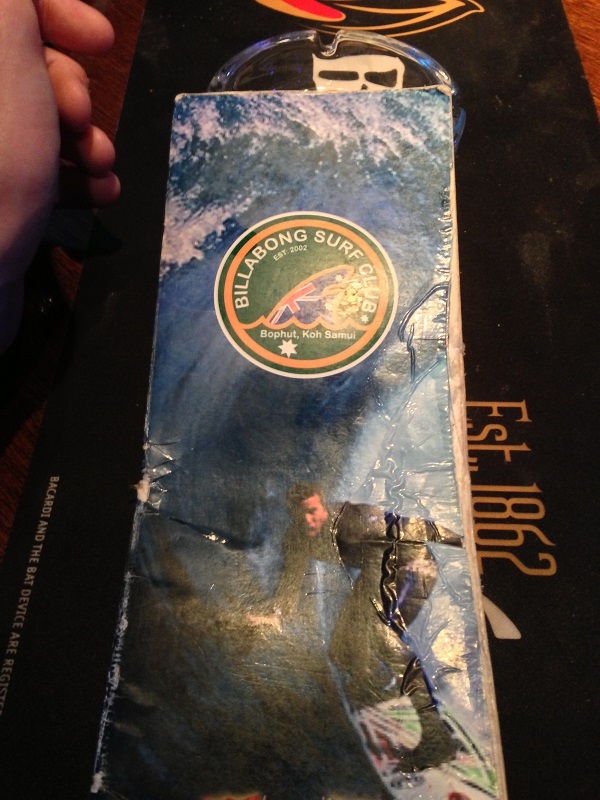 Billabong proved to be a great bar and we ended up stopping in for a drink most nights in the Fisherman’s Village. The staff are local and very friendly and fast. 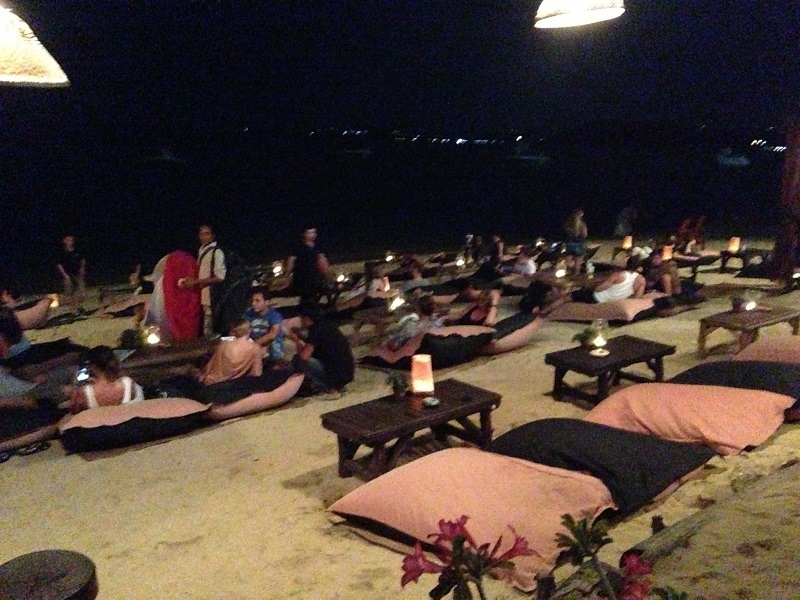 The bar looks directly onto the beach as well so you can watch the sun go down and people watch at night. 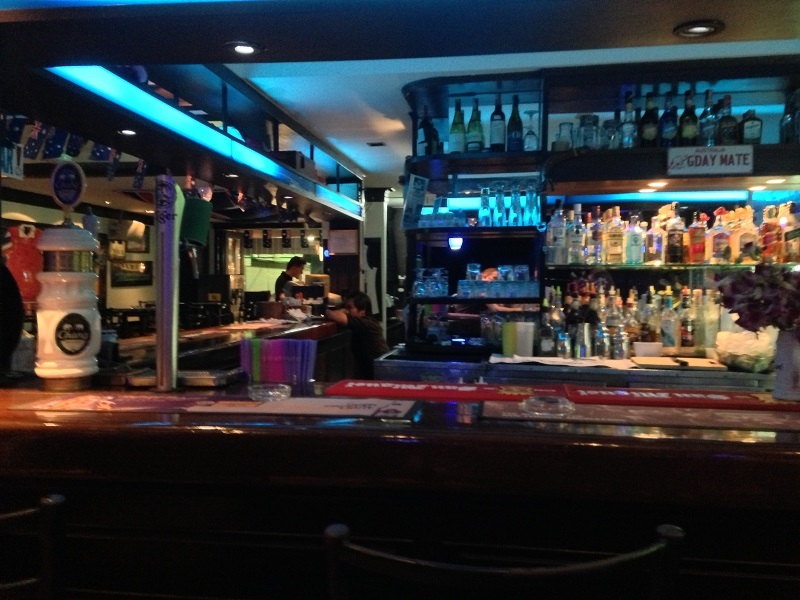 The pints of Chang in here were excellent and at 90Baht (less than £2) were worth coming back for again and again. During Happy Hour it was even less. The bar has live music on some nights and we took in an excellent acoustic guitar player one night who played requests. Decent free wifi also made it a great place to plan the rest of your evening. Recommended. 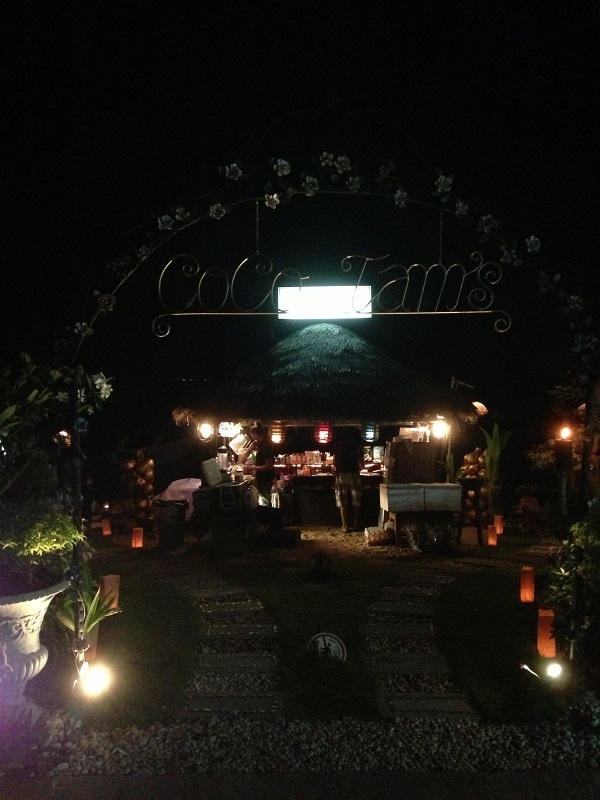 From walking along the beach from our hotel to the Fisherman’s Village, Coco Tams is the first bar on the street and after visiting a number of times probably takes the title of coolest bar in Bo Phut. Set on the beach itself seating is by way of massive bean bags, hanging chairs and large beds. 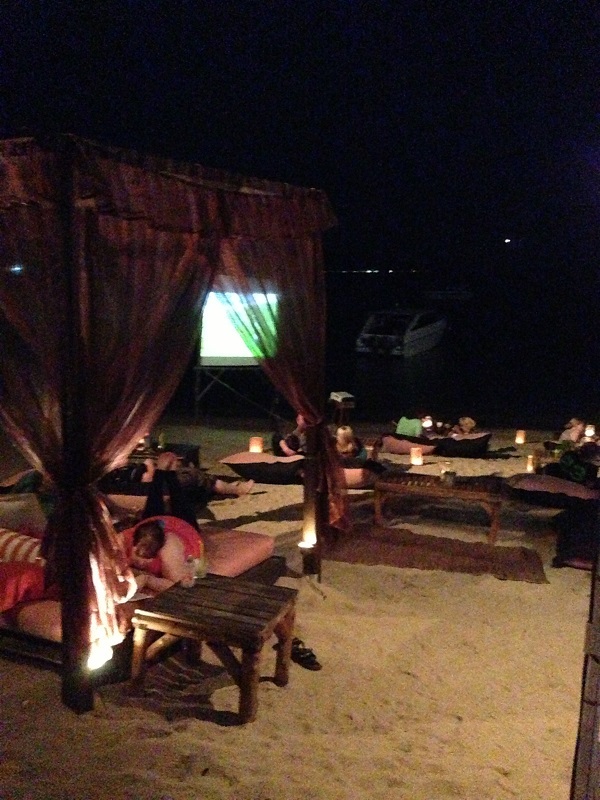 The vibe is massively chilled out with slow music playing and shisha available for a smoke while you look over the beach and sea in front of you. Its hugely popular and gets very busy but is entirely worth hanging about for a few minutes if you cant get a seat. There is a large projector screen normally playing sports with no sound allowing you to watch without distracting from the chilled atmosphere. Having such a cool spot and bar allows Coco Tams to charge a little extra for their drinks but not much more than most bars in Bo Phut. So much so we often stopped here walking back to the hotel for a night cap. 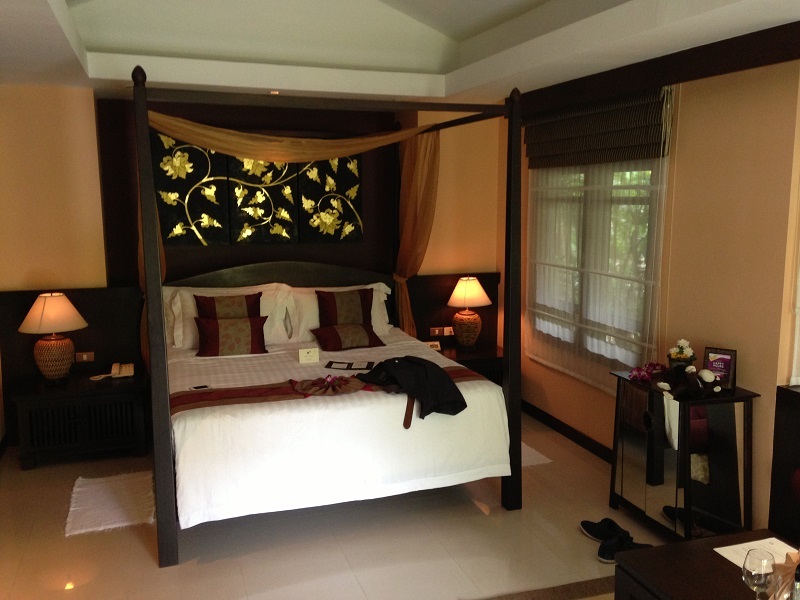 Now that we are home I can safely judge that the Bo Phut Spa & resort is the ideal hotel to stay at on Koh Samui. 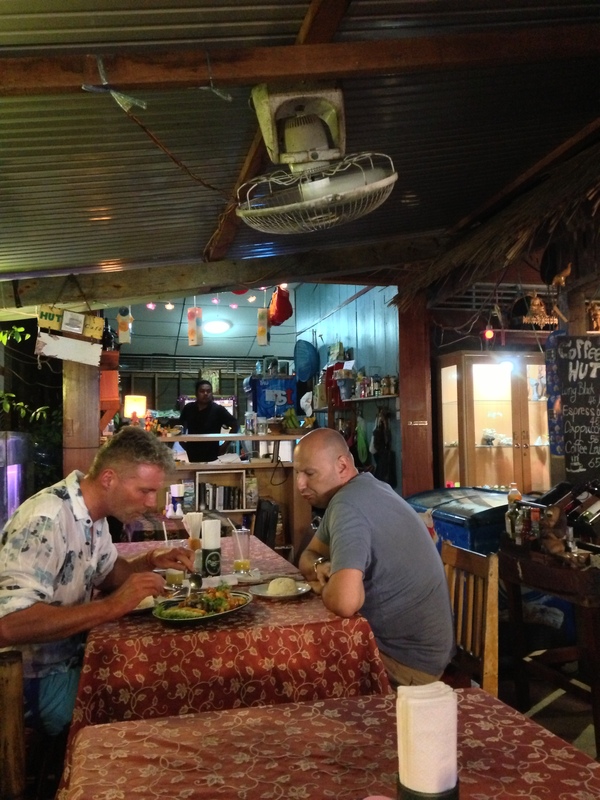 It is beautiful and has a great location only a few hundred yards walk along the beach to the fishermans village and a short taxi ride to the much busier and commercialised Chaweng should you want to have a much busier late night. We arrived mid afternoon and were immediately greeted by friendly welcoming staff who gave us a cold towel, a drink and a comfy couch to sit on while we were checked in. We were booked into one of the garden villas and one of the reception girls walked us to our villa while pointing out key parts of the hotel. 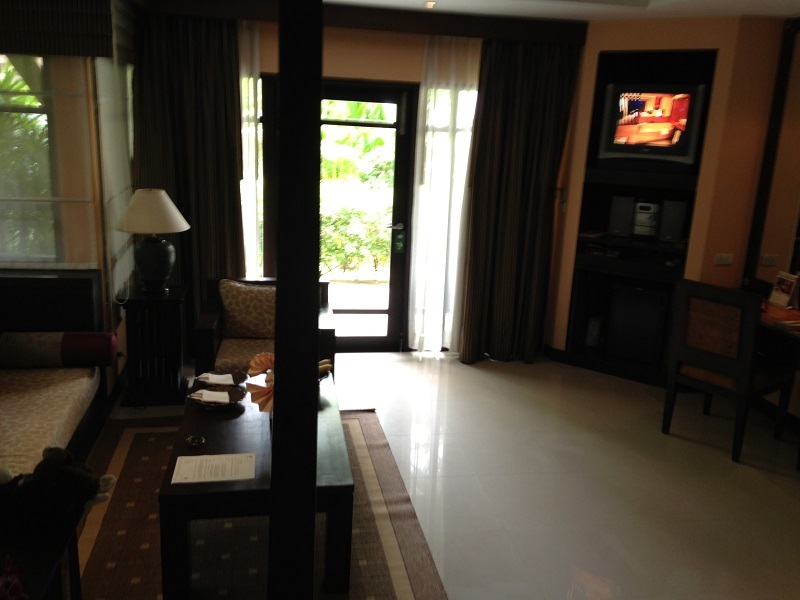 Our villa was located 20 yards from the pool and 10 yards from the beach and was perfectly quiet at all times. The villa itself was large and had real quality furnishings. Fresh fruit was delivered daily if eaten and changed frequently even if it wasn’t. There is a large living area with couch and seats, the bed is enormous and comfortable and all electrics can be controlled from the panel next to the bed. Every evening the turn-down service would plug in the mosquito repellant and we never experienced any mosquito problems in the villa at all. 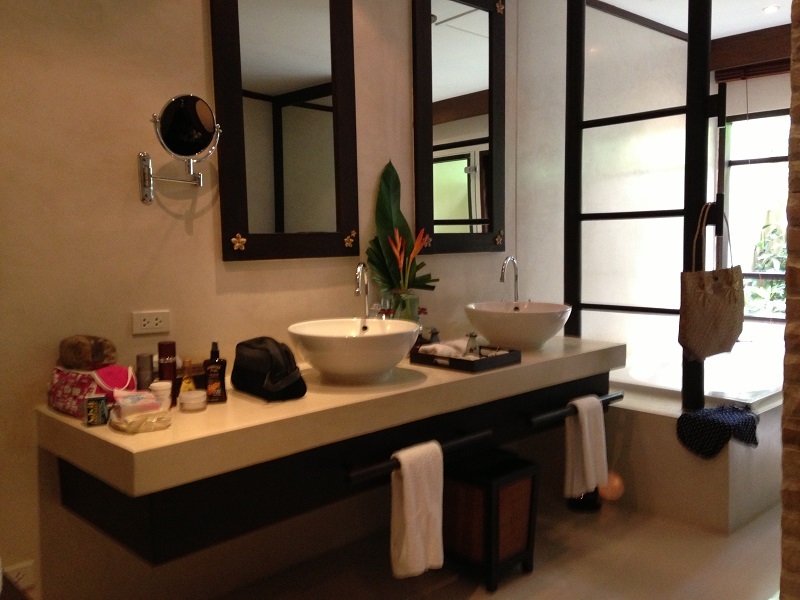 The bathroom is enormous and the choice of complementary soaps and shower gels was excellent. THe maid service was absolutely flawless each and every day. The Villa also has a DVD player which on its own doesnt warrant comment, however, the hotel has an extensive DVD collection and its worth looking into it for late night DVD watching. 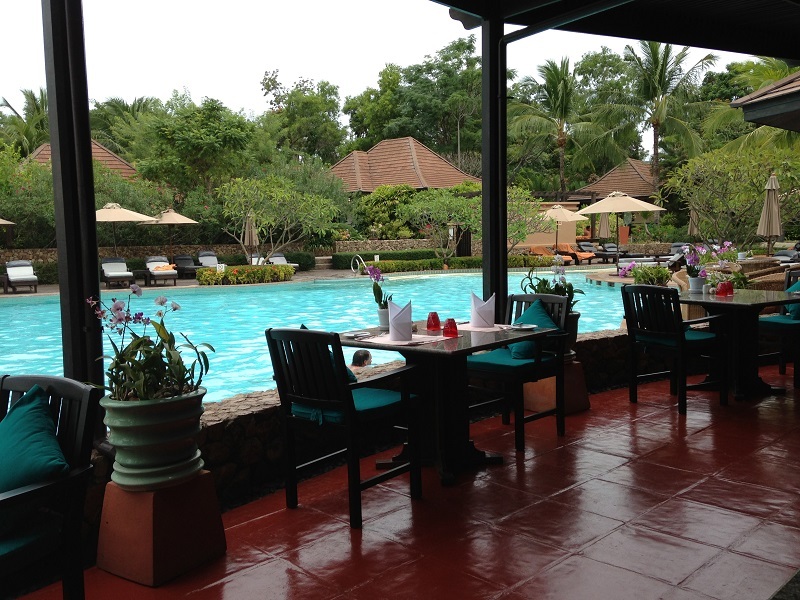 Breakfast was an excellent affair,served at the pool and the buffet selection really does have something for everyone. Every day there is an Asian special selection ranging from Dim Sum to some weird and wonderful curry dishes. We ate here for lunch a couple of times when attempting to escape from the sun during the hotter times of the day and each time the food was fresh and actually reasonably priced for a hotel. The same can be said for the drinks bill and each day there are two happy hours with 50% off. The poolside servers are always available and are quick and pleasant. I would recommend eating from the beach sellers, the hotel don’t mind you bringing their food and drinks back to the pool area and the food is so cheap and so tasty it would be criminal not to take advantage of the grilled corn and fresh papaya salad! We never experienced any problems getting a poolside bed during our 12 days here and that was regardless of what time we hit the pool at. The beach is beautiful, clean and the water is warm though not clear. The hotel grounds are beautifully manicured gardens and are constantly being tended to. The hotel location is perfect. 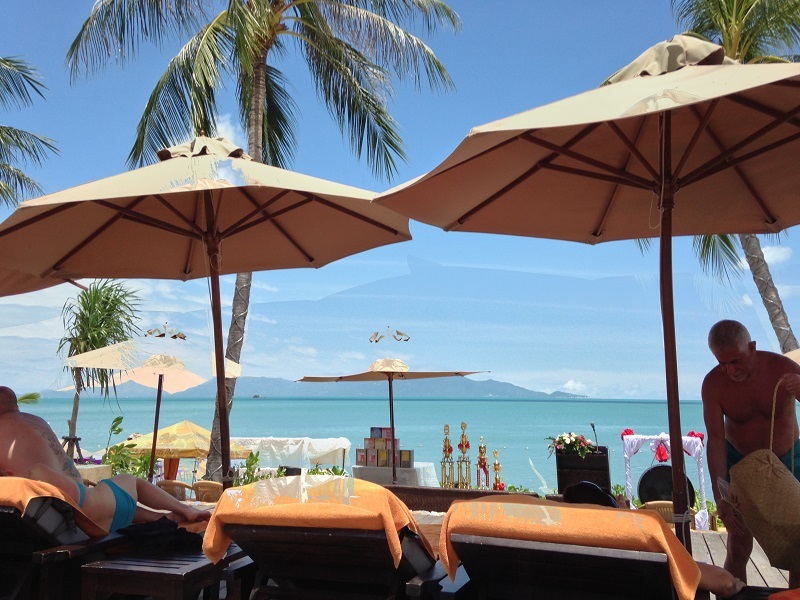 A 400 yard walk along the beach brings you to the Bo Phut fishermans village. It isnt really a fishermans village now but instead has a fantastic selection of bars and restaurants without being overly commercial and rowdy. We pretty much walked along here every night and the walk along the beach is lovely.Even if you want to visit other parts of the island this is a great base and the hotel run transport service is both cheap and safe. Something to consider compared to the local taxi’s as the roads in Koh Samui are dreadfully unsafe! A special mention has to go to the staff, they are truly exceptional! They will go completely out of their way to help and even though tips are normally included in the bill I couldn’t help giving more. 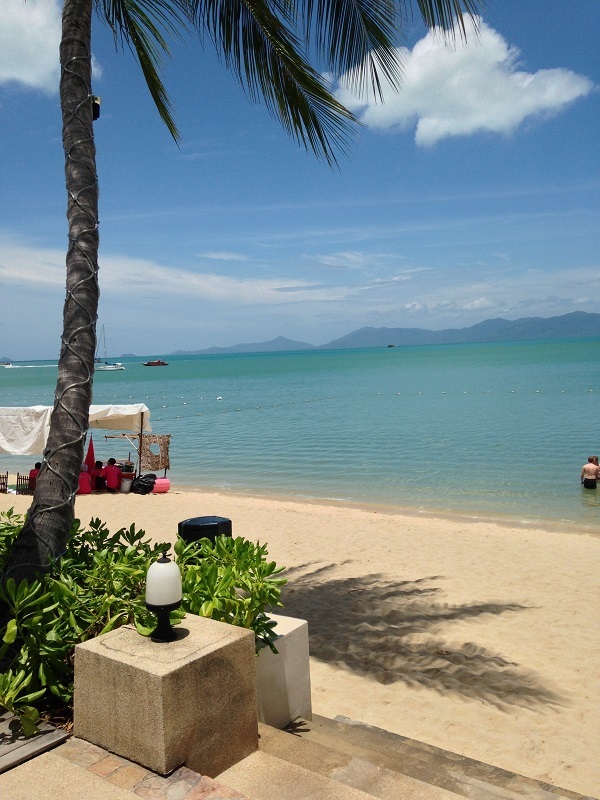 If you are looking for a great hotel in Koh Samui then I cant recommend the Bo Phut Resort and Spa highly enough.